Tattered stacks of The Double Gun Journal, Covey Rise, Pointing Dog Journal, Sporting Classics, Parker Pages, Quail Forever Magazine, and Shooting Sportsman greeted me at my favorite chair last night after a long day of tending to ailing pets. The stacks were piled there as a friendly reminder from my dear wife the gunning season was over, and I needed to find a proper home for the heaps of magazines. The magazines, at least the good ones, end up collecting dust at my cabin near the Sangre de Cristos mountains in southern Colorado. I’m not ready to ship them off to their final resting home and sentence them to the dust and tranquil loneliness of the cabin. 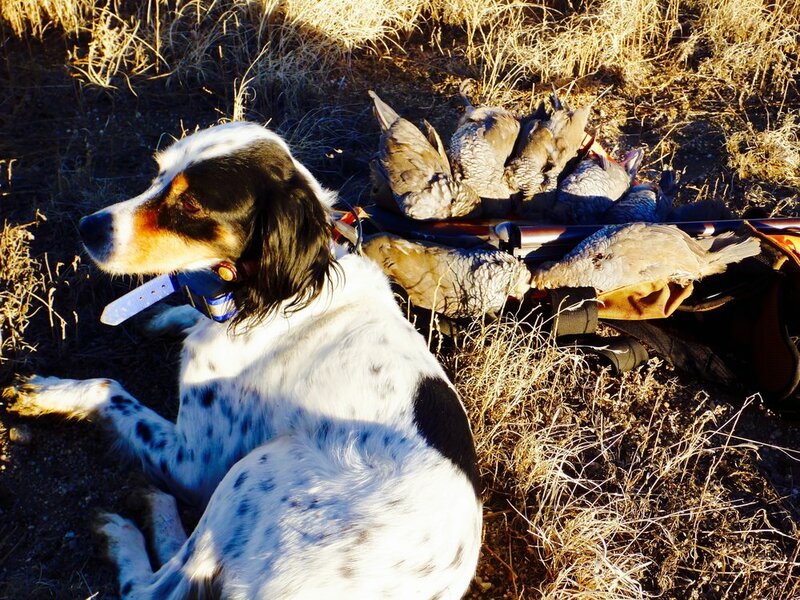 For now, I’ll flip through them one more time reminiscing the past gunning season with my setters and Hell-bound field-bred English cocker toting 100-plus year-old smoothbores on the shortgrass prairie. Snow is accumulating in the back yard and every day it snows, I pray the shortgrass prairie east and south of here is getting its share. Winter snows on the Colorado shortgrass prairie equals good habitat for scaled quail. Scaled quail habitat consists of native grasses and a fair amount of bare ground. The best scalies habitat also includes dense cholla cactus stands, sand sage, creosote or greasewood, prickly-pear, junipers, mesquite (in the Land of Enchantment) and yucca. On good snow years here in Colorado, the weeds grow thick providing plenty of invertebrates (for the chicks) and seeds for them to forage on. Ragweed, Kochia, Buffalo bur, Pigweed, wild sunflowers, Cholla seeds, Croton, tumbleweed and thistles make up a large proportion of their diet. Green plants are also an important source of vitamin A which is essential for their reproduction. Most of my ventures onto the shortgrass prairie are day trips with just me and my setters. I’ve spent thousands of window hours discovering the shortgrass prairie. It has crept into my veins and inspired my heart. I find tranquility watching the sun set on the shortgrass prairie as the western sky turns from blues and golds to hues of Autumn orange. 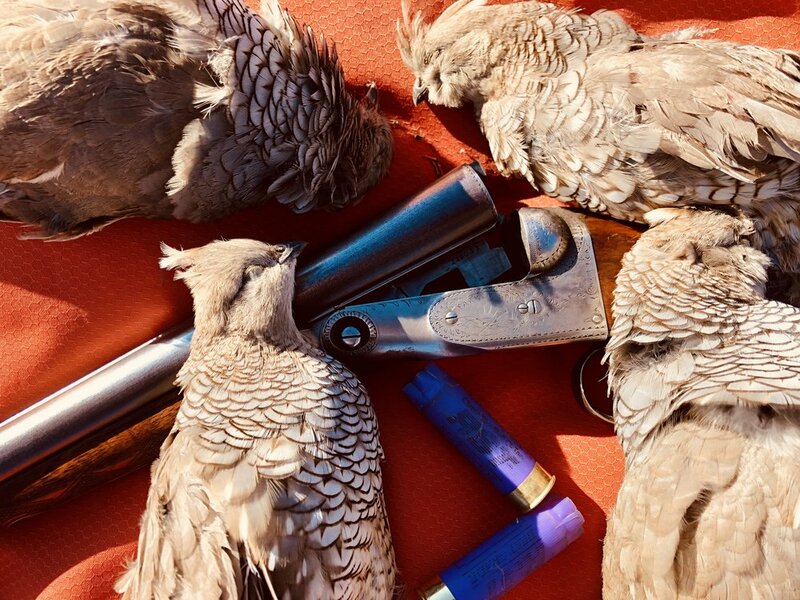 One year, on the last day of the Colorado quail season, I watched an honest 30-bird covey of scaled quail glide across the oranges of the western sunset…a token that there will be birds for the next season and seasons to come. This past season while hunting on the shortgrass prairie and wielding my cherished (circa) 1902 Parker GH 16 bore on a 0 frame with gorgeous browned Damacus barrels, I was daydreaming as I wandered through a dense cholla stand…pondering on the past history of this Parker smoothbore and hoping my young coverdog-setter Cinder would stumble into a covey of scaled quail. Who carried this Parker in the past? Was he a grouse and woodcock aficionado or a prairie grouse gunner? Suddenly, I was face to face with a large female mountain lion. She and I were both startled and turned to head the other direction. She was there in the cholla and prickly-pear choked shortgrass in search of the large herds of pronghorn antelope that winter on the shortgrass prairie. My best memory of the day is the sundowner covey Cinder pointed and held under a juniper tree on a hillside as the western skies began their transformation. Cinder’s tail was lightly feathering the wind as the covey erupted in organized chaos. The Parker spoke once and feathers oscillated to the prairie floor while the remaining cohorts escaped to the cliffs and dense junipers above. Cinder got to ride shotgun on the way home that night. I was enthused with the prospect of Cinder and hopeful for the years to come. I’m not ready to put the magazines away for now. Soon though…there will be gobbling turkeys at the snowline of my beloved Sangre de Cristo mountains and eager brown trout rising to caddis dry fly imitations. All is good in the world.